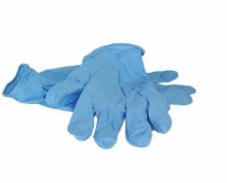 Disposable Nitrile Gloves. Medium. pk 100. For those with latex allergies or those who prefer a slightly stronger glove. Ideal for Dairy use.